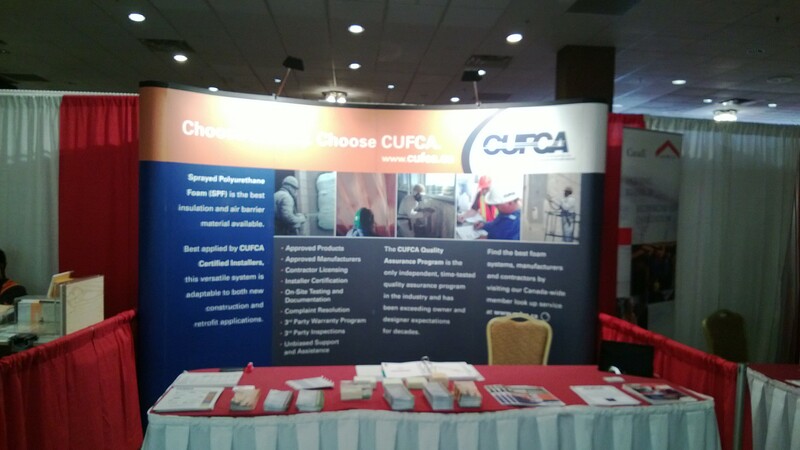 CUFCA is representing our members at the Canadian Home Builder's Association of New Brunswick's Annual Conference & Trade Show on February 12th and 13th, 2014 in Moncton. We will network with members of the building industry in New Brunswick on your behalf, and promote the use of SPF products installed by CUFCA Certified Contractors. If you already have tickets to this sold-out event, please stop by the CUFCA booth and have a chat with Andrew, CUFCA's Executive Director.